This week I started what I’ve been saying I want to do since we moved to Pensacola. 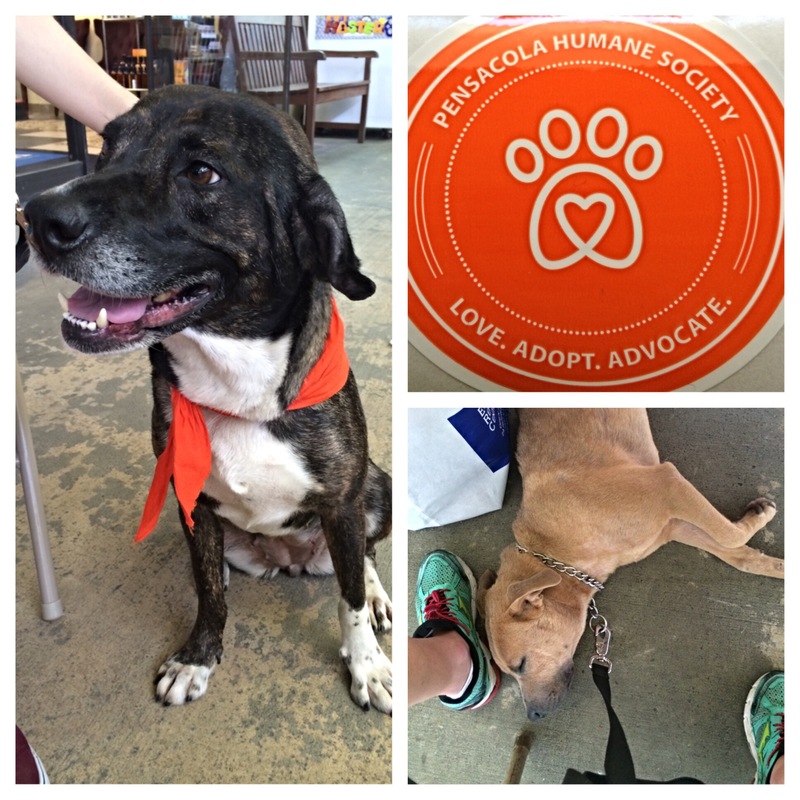 I started volunteering at the Pensacola Humane Society and today we had an adoption event. The dog on the left in the picture is Wisteria, a 3 year old Catahoula Leopard Mix and bottom right is sleeping Dorothy, she’s probably dreaming of Kansas. She’s still a puppy at a year old and they think she’s a Terrier/Pit Bull mix. Such sweet dogs that will hopefully find their forever home very soon! Next time you’re looking for a new fur baby make sure to check out your local Humane Society. Adopted pets make great friends and are so appreciative of your love!